Picked this up from the library and read it last night. 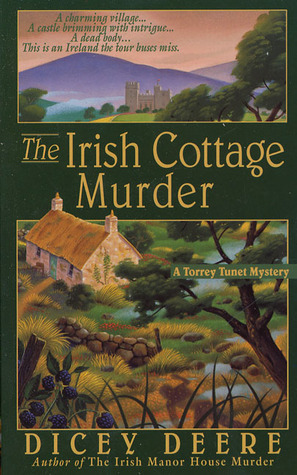 I recently read another Irish based mystery, Buried in a Bog, and really liked that book, so this appealed to me. First the good, the book has a, strong female protagonist and interesting writing style, such as using chapters of varying lengths and different points of view (some are only a page long). The bad is ..well, bad. The protagonist is 27 or is that 30? Depends upon which section of the book you are reading (not really a bad error over all), the combination of languages the translator speaks is almost completely impossible to believe, especially coming from a relatively small American town where she would not have had the opportunity to be be immersed in them, we are talking about Scandinavian languages, Greek, Hungarian, some Russian, French, Portuguese, Gaelic and so on. I could understand a large group of Romance languages, but not this combination. And if by chance she is some unique human language savant, why would she be working hit or miss contract work and struggling for money? Next, up some of the geography in Ireland, as in the distances is off. The pay for Maureen Devlin is off for the time period and some other little anachronisms as well. The biggest problem with the plot is the back story for the protagonist, Torrey Tunet. I don’t want to tell the whole thing, but it drives much of the plot in the current story, so the fact that it is far fetched is an issue. As many problems as there are, the main character is strong and charming, very individualistic, it does leave me wondering if things improve in later books. This entry was posted in Book Reviews and tagged book, library, mystery.